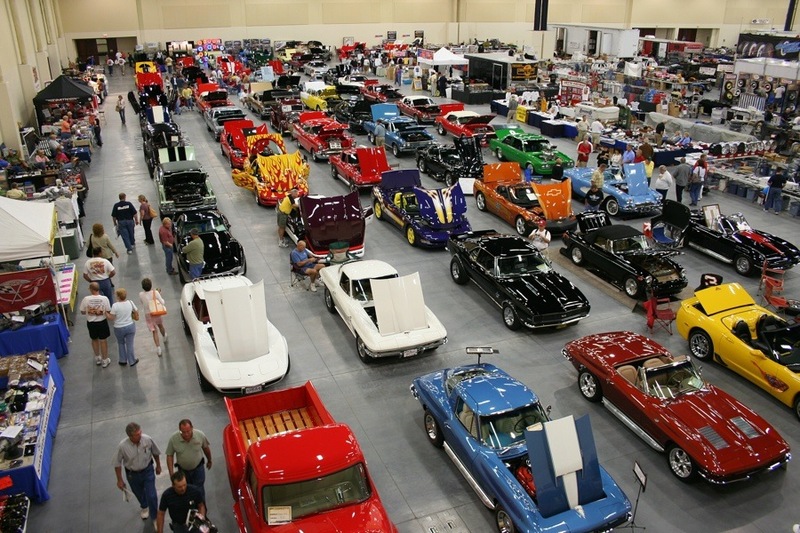 Start your engines for the spring season of muscle cars, hot rods, classics and customs, and first out of the gate in 2016 is the annual Spring Corvette Expo in Sevierville. 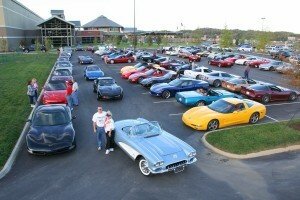 The Corvette Expo happens Friday and Saturday, March 18-19, at the Sevierville Convention Center. The show features an auction with lots of hot cars, a swap meet, a Corvette Cruise, and cash prizes in several categories for entered cars. 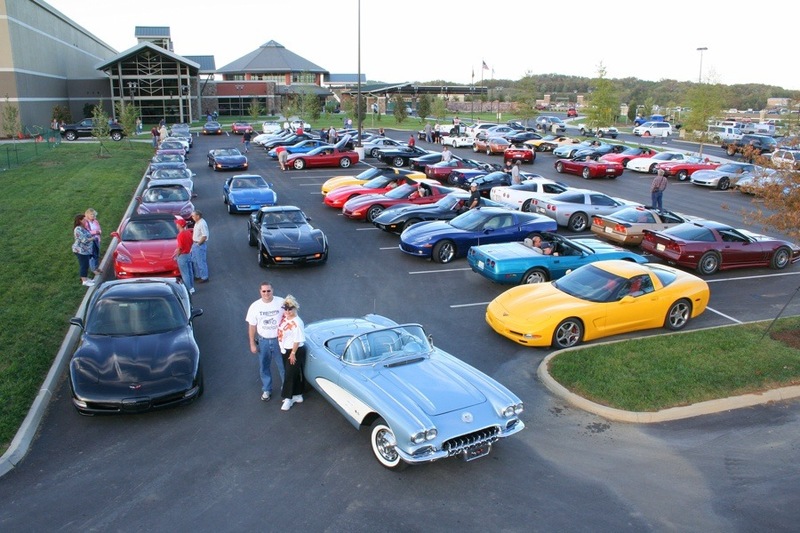 The show is one of the longest running Corvette events in the nation, founded in 1976 – and still run by – Byron Cooper’s Corvette Center in Knoxville, Tennessee. Byron is also one of the sponsors of the Pigeon Forge Rod Run each spring and fall. Show times are 9-6 on Friday and 9-5 on Saturday, with admission $10 each day. The auction is on Saturday beginning at 11 am. On Friday, to close the day the Corvette Cruise kicks of at approximately 5:45 pm. The convoy takes the long way round to Pigeon Forge, for a 47-mile jaunt lasting one hour, and ending up at The Island. From here the dining and party possibilities are practically endless. Be sure to get up the next day for the Collector Car Auction, with almost 70 cars in the Auction List, including of course a large variety of beautiful Corvettes, along with other muscle cars, custom builds and rare and specialty vehicles. There’s even a Cessna plane for sale. Over $2,500 in ready cash is also standing by to be awarded in the Horsepower & Hot Rods contest to the best cars in several categories. Prizes for best early, mid and late model Corvette, plus early and late model Chevrolet, and others. Entry is open to Corvettes, muscle cars, street rods, classics and show cars of all makes. Meanwhile, the swap meet is the place to look for that part or accessory you’ve been chasing. Numerous vendors will be stationed at the Expo, both inside and outside the convention center, and the general public will of course drive up in all its fine variety of cars for you to gaze at. Tee-shirts and all the paraphernalia of the growling motor car will be on display everywhere. For more information, see the 2016 Corvette Expo website. While you’re in the Sevierville area, here are a couple of other places you may want to take the family. On the muscle care theme, make a visit to Floyd Garrett’s Muscle Car Museum. This is one of the largest and best collections in the world of American muscle cars. You may want to bring sunglasses for all the gleaming chrome, you WILL want to bring your camera! Did you know that Cabins of the Smoky Mountains offers one Free Adult Ticket to its guests to the museum? Find out more in our write-up on the Muscle Car Museum. Also out Sevierville way, if you thought you’d already seen some powerful motors, get ready for some real power in American warplanes of the past, at the Tennessee Museum of Aviation. This is where Airworthy Warbirds – war planes that still fly – are housed and displayed. The museum is on the edge of the runway at the Gatlinburg-Pigeon Forge Airport, so you never know what’s taking off or landing for a visit. The museum is in a huge climate-controlled hangar filled with exhibits and memorabilia. Kids like the place so much, the museum even offers a birthday party special. Bring a camera here too, and see how good you look in a cockpit. For lots more about the museum and its unique family offerings, see our feature on the Tennessee Museum of Aviation.